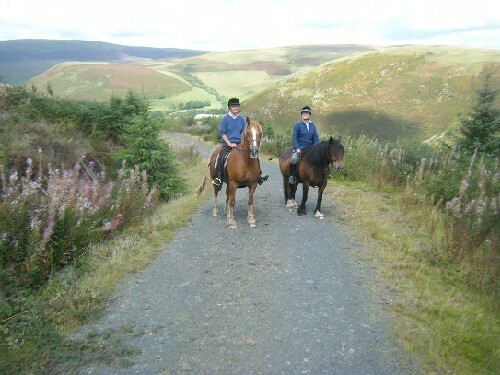 Nestling at the foot of the Cambrian Mountains in Mid Wales, Gwern Y Mynach is in a peaceful, away-from-it-all location, yet with excellent road access to many local attractions, including The Royal Welsh Show Ground, (approx nine miles), golf courses fantastic scenery and visitor attractions. 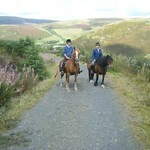 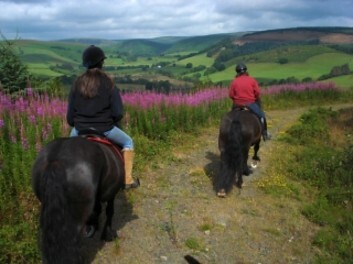 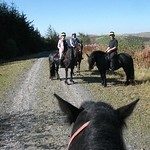 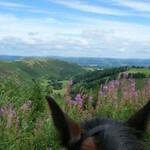 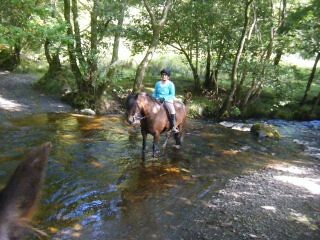 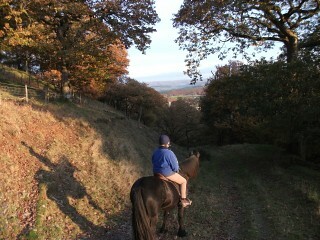 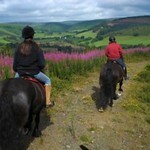 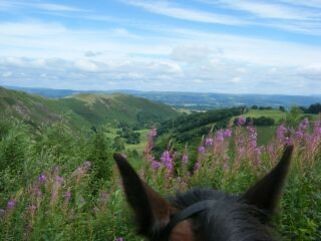 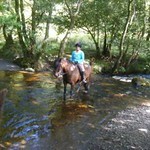 From our farm you can ride directly up into Irfon forest, offering many miles of peaceful tracks and stunning views. 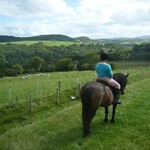 Maps and routes are provided and I will be happy to help you plan your rides and even accompany you, should you wish. 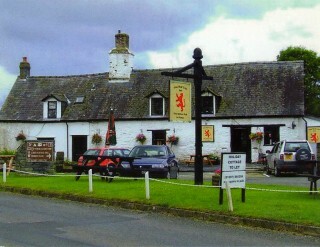 The oldest pub in Powys, The Red Lion, is situated at the top of our drive and is renowned for its excellent meals. 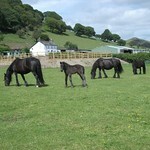 Our facilities include, integral barn style, rubber matted boxes. 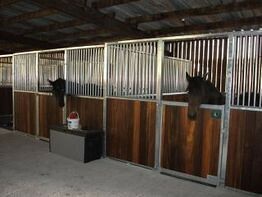 Your own lockable tack room, horse wash down area and all weather riding arena measuring 20x30m. 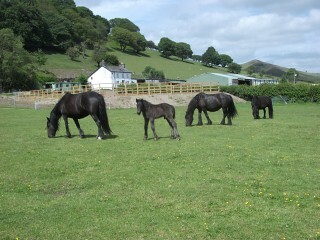 Turn out will normally be available but is subject to weather conditions and time of year; there is plenty of in-hand grazing around the farm. 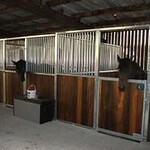 A kennel area is provided should you wish to bring well behaved dogs. 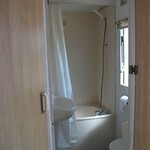 More facilities in the pipeline. 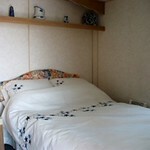 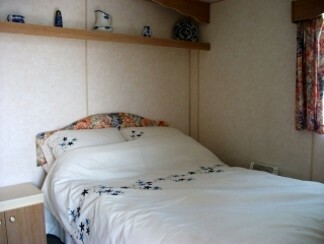 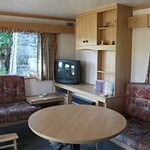 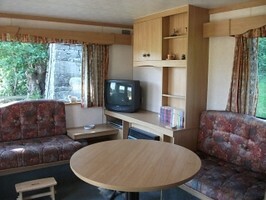 We offer self catering accommodation for up to four people in our very well equipped static caravan. 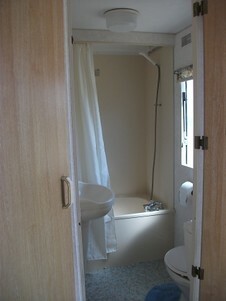 One double bedroom, one single and a Z-bed, bathroom with shower, and excellent kitchen. 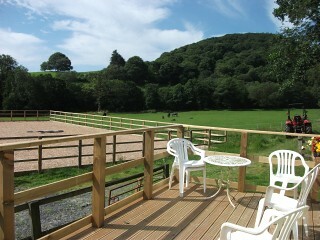 Outside seating area, to relax after the days exertions. 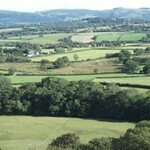 Fresh farm produce usually available to buy. 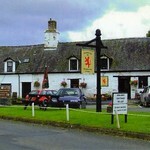 The Red Lion for an excellent meal is within easy walking distance. 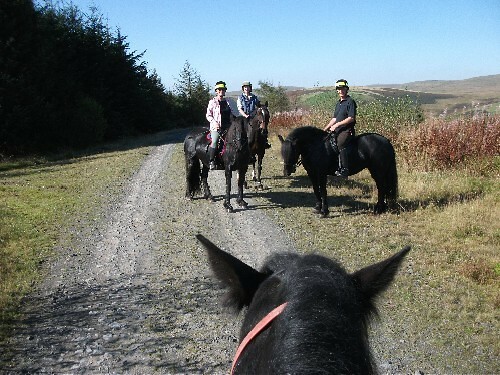 There is direct access from our farm to Irfon Forest, (no roads and horse friendly gates) where there are miles of wide forest tracks and narrower paths to explore, and where ever you look, stunning views. 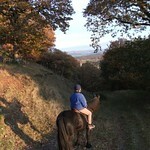 If you choose to leave the forest and take to the lanes, where cars are a rarity! 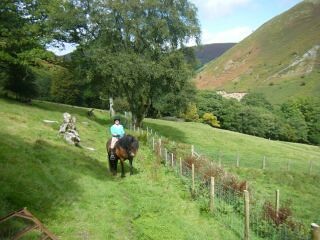 Then numerous bridleways and tracks are at your disposal. 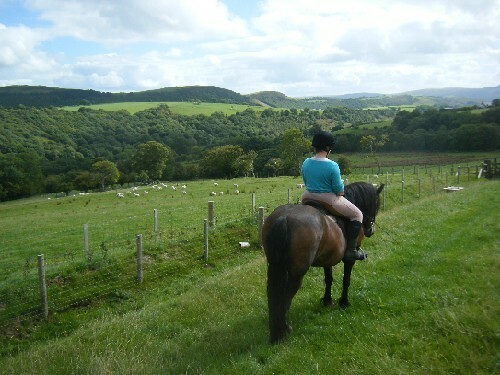 Llanafan Fawr is close to Builth Wells and Llandrindod Wells. 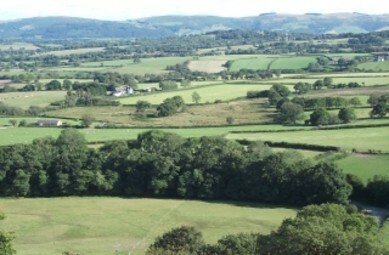 Gwern Y Mynach is situated off the the B4358, almost exactly midway between Newbridge on Wye and Beulah. 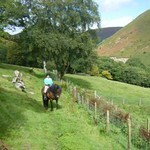 Opposite the church, take the drive on the right of the Red Lion car park and follow to the end, keeping right at Llanafan Farm.